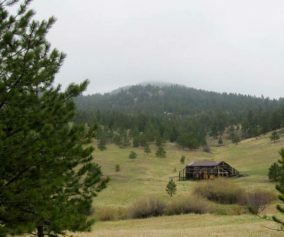 If you are visiting Boulder, this is a great Colorado hike. Mt. Sanitas gives you several trail options ranging from an easy stroll along a meandering brook to a demanding trail up the mountainside. 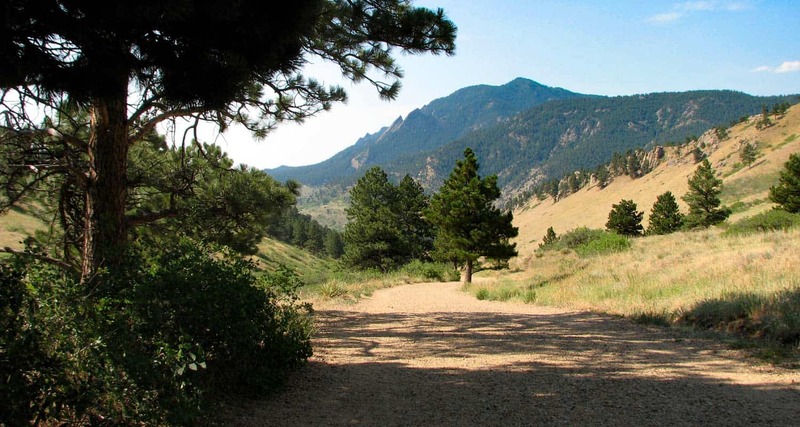 Explore the trail profile below for all the info you need on this hike near Boulder. Mt. Sanitas offers three different hike options, ranging from the more difficult climb up the mountain, to an easy walk through a peaceful valley. 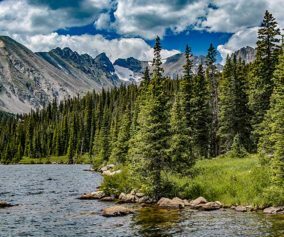 Sanitas is Latin for “health”, and this hike may either get you in better shape (the 3.1 mile loop), or restore your sanity (the easier options). If you are visiting Boulder, this is a great Colorado hike. 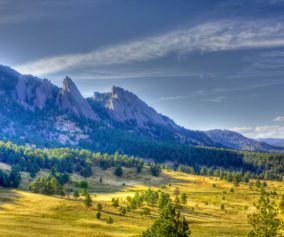 This is the classic hike at Boulder’s Mt. Sanitas, and it’s the most difficult of the three hike options because it involves a series of log and rock steps that will leave your quads and knees either thanking your for the workout or aching for a couple days afterwards. Because of this, we would give it a Medium+ difficulty rating. 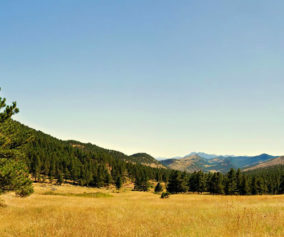 The prize of this Front Range Hike are the views at the top. You’ll be able to look down into Boulder and get some great views of Colorado’s Front Range. Here’s the easiest option; 1 mile straight up the valley and back. The two words that best describe the Sanitas Valley trail: idyllic and busy. Dogs run about and jump in the creek that runs along the beginning of the path, runners fly by, and families talk and stroll together. The trail rises gently at first, then goes into more of an incline. We took our stroller; it worked fine, but was tough pushing the kids up the last 1/4 mile uphill. We turned around just after the Dakota Ridge Trail junction, making it a 2 mile out-and-back hike. 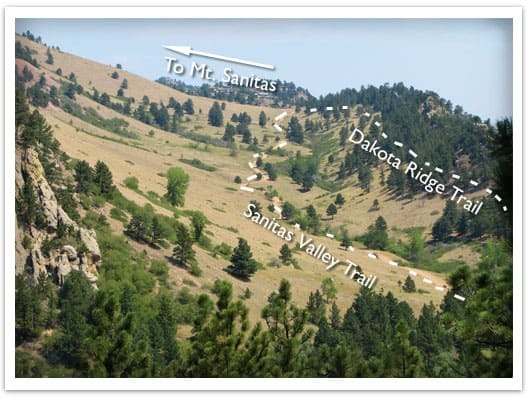 You’ll find side trails running East/West off of the Sanitas Valley trail which will take you up onto the Dakota ridge, a hogback that boxes in the Sanitas Valley. You can make this an out-and-back hike, or turn it into a loop by hiking back through the valley (see photo above and the Mt. Sanitas Trail Map for the route). Parking: This is kind of a no-brainer, but get to the trailhead early. I think we arrived around 8am on a Saturday and grabbed the last parking spot. However, we noticed that many people were walking to the trailhead from town, so there are other parking options. No Shade: Bring your sunscreen; the trail is mostly exposed. Lots of People: If you are looking for solitude, I’d recommend trying another hike. The Mt. 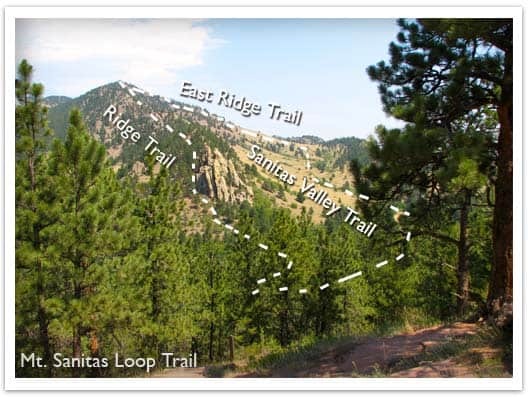 Sanitas trail is essentially in Boulder, and its great location means that it’s quite busy. If your 66 plus the easier options may be the ticket. The 3.1 mile loop is very strenuous for a guy who is on Medicare!